I remember a time when Carlingwood had two-tier food court seating. The lower level was designated non-smoking while the elevated platform welcomed smokers to light up while grabbing a bite to eat. 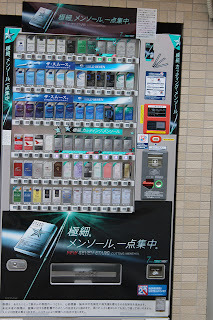 The mall hallways were lined with ashtrays, and even the mall's restaurant had a cigarette vending machine. While it hasn't been that long since Ottawa has been curbing smoking in public areas, it's been aggressive. When traveling to other cities and other countries, I get a sense that something is off when I see someone lighting up in a restaurant, when I'm asked, "smoking or non-smoking," or my hotel room has that slight, stale scent of tobacco lingering in the air. It just doesn't feel right. 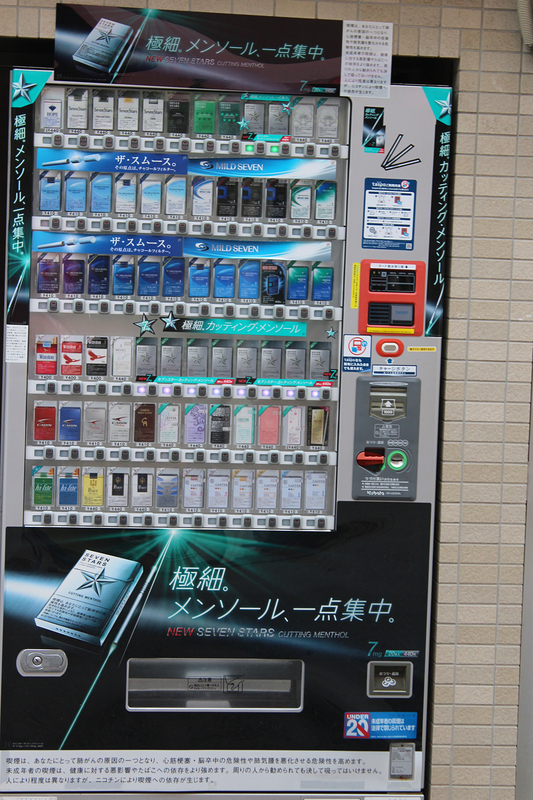 A recent trip to Japan showed me outdoor cigarette vending machines. Weird. As far back as I can remember, smoking on buses has been forbidden. The same goes with bus shelters, where the blue, red, or translucent line across the glass has always indicated them to be smoke-free zones. 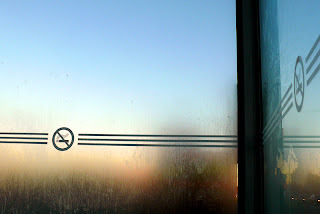 In fact, all transit property is smoke-free. 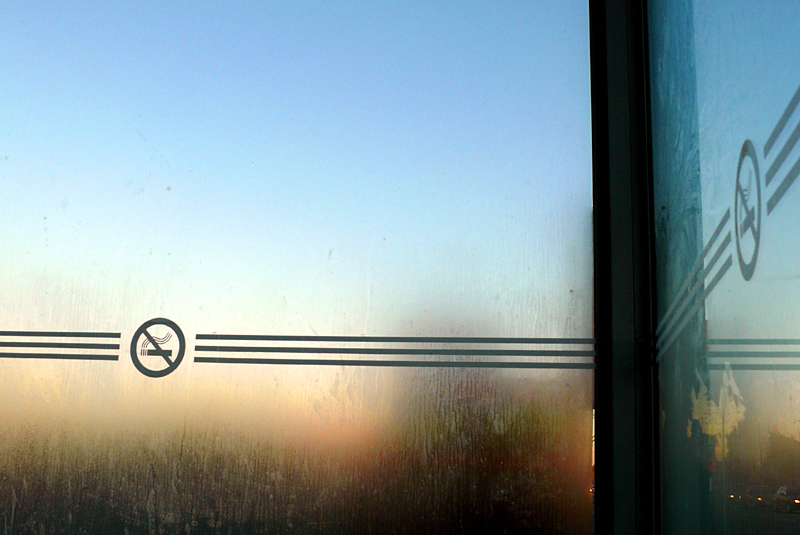 While there is some debate as to whether the city's "9-meter radius" of smoke-free zones truly applies to transit, bus stops themselves are transit property, and thus to apply to this rule. No smoking in shelters - or at bus stops. Over the past few days, Twitter has been abuzz about this story, where a driver had asked a woman to move from standing by the front of the bus because she smelled of cigarette smoke. She felt offended and discriminated against. Nowhere does anyone point out that she was breaking a by-law. According to city by-law, she shouldn't have been smoking at the bus stop waiting for her bus, which she admits to doing. It's a good point, but it's beside the point. As a passenger, I come across all kinds of smells. KFC. Perfume. Cologne (far too much cologne -- guys, you don't have to bathe in the stuff). New-bus smell. Cat-in-heat. BO. And yes, cigarettes. 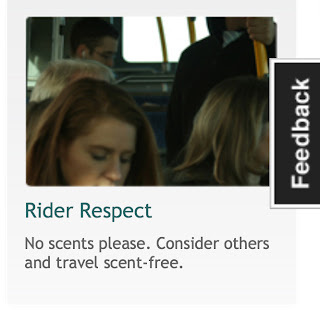 Normally I brave it out as the City of Ottawa bus ad reminds us passengers to be "considerate" and "scent-free." As much as I would love to gift some of my fellow commuters some soap or gum or a bottle of Febreeze, I'm sure there are social etiquettes against doing so. The only times where I will take action involve me locating another seat, and that's only when my allergies are already doing a number on my nose. Otherwise, I tough it out for a few stops. Drivers should have the same respect. Screenshot from octranspo1.com. However, a being driver is different. The driver needs to be focused, and quite honestly, I want my driver to be focused. There are reasons why you can't blare music on a bus or stand in the front well, or why drivers can't play with cell phones, or why the bus is dimmed at night and why the driver seat seems isolated from the bus: it's so the driver doesn't get distracted. If the driver feels distracted, he or she can ask you to simmer down your antics, or ask you to step off. It's really a bonus that relieving a distraction usually means a quieter, easier commute for everyone else on board. Distracted drivers are more prone to making mistakes, like missing your requested stop, failing to notice someone at or running to a stop, or colliding with another vehicle, a bicyclist, or a even pedestrian. If the driver is distracted, he or she should be able to try to reduce that distraction, even when it comes to smells. The City of Ottawa says that drivers cannot ask passengers to move on the grounds of scent, but I hope they will consider the potential risks of such a distraction.